Nicole Richie as Portia in NBC’S GREAT NEWS. ©NBC. CR: Chris Haston/NBC. 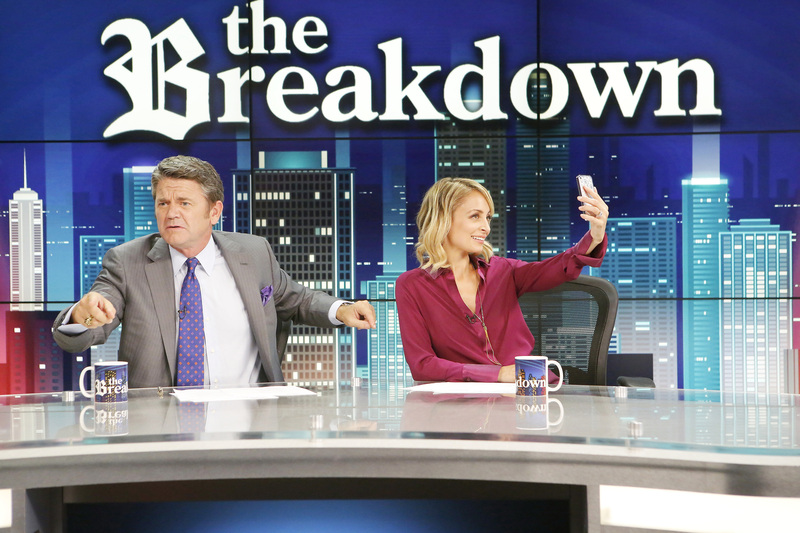 (l-r) Adam Campbell as Greg, Horatio Sanz as Justin, Briga Heelan as Katie, Andrea Martin as Carol, Nicole Richie as Portia, John Michael Higgins as Chuck star in NBC’S GREAT NEWS. ©NBCUniversal Media. CR: Virginia Sherwood/NBC. (l-r) John Michael Higgins as Chuck, Nicole Richie as Portia in NBC”s GREAT NEWS. ©NBCUniversal Media. CR: Trae Patton/NBC. (l-r) Nicole Richie as Portia and Briga Heelan as Katie n NBC’s GREAT NEWS. ©NBCUniversal Media. CR: Colleen Hayes/NBC. Next PostClever ‘Kingsman: The Golden Circle’ Too Much of a Good Thing?